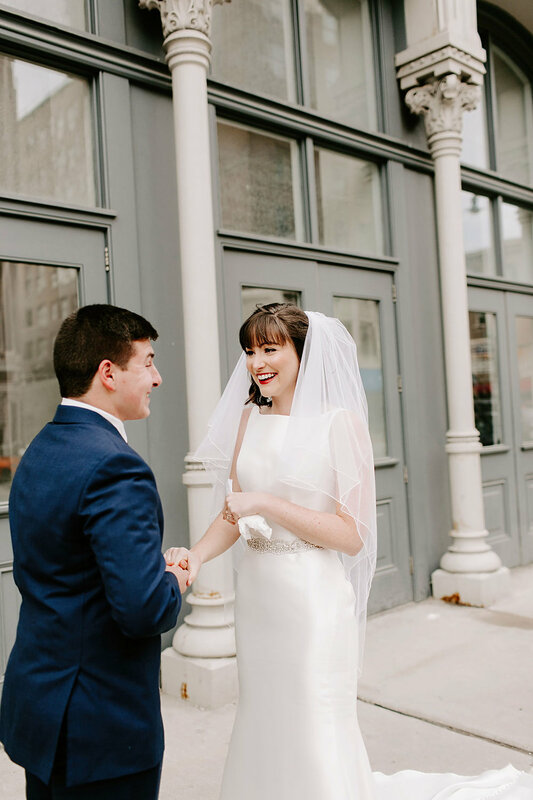 Emily and Davis got married in cold Indiana December and it was beyond perfect. They were so calm and refreshing. Emily looked effortlessly stunning. 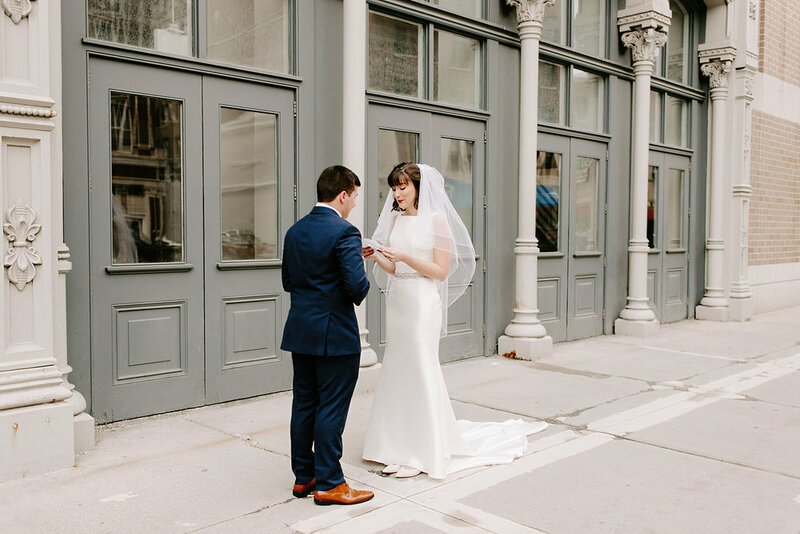 They did their first look on the streets of downtown Indianapolis and read their vows to one another privately. 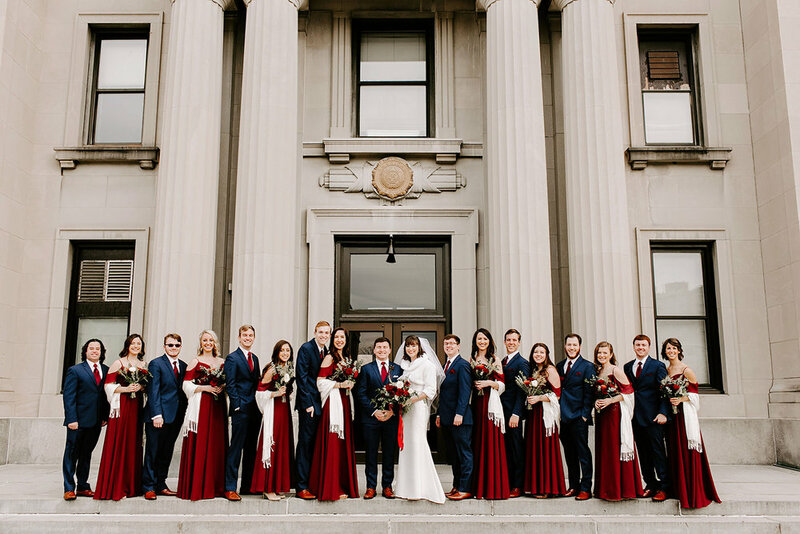 Their bridal party was just one big friend group. They were so connected and fun. 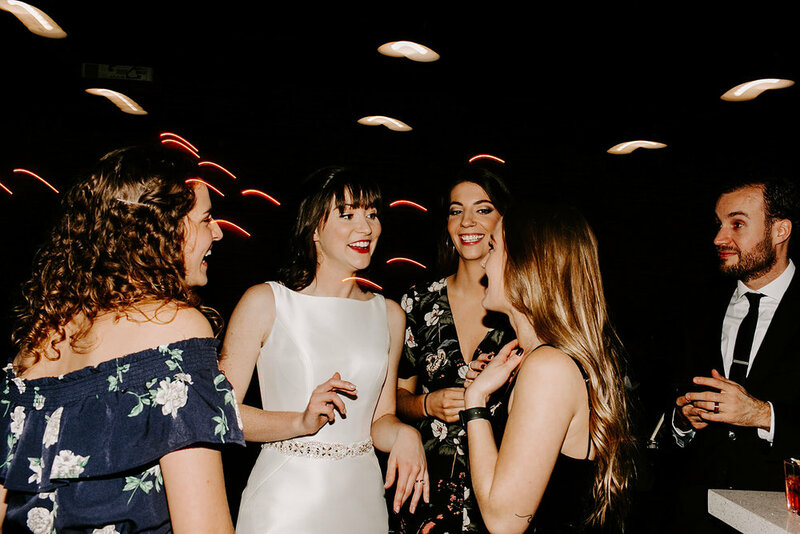 Emily and Davis got married at Vision Loft Indy and it was one of the most thought out venues I have been in. Each piece was so well designed...even down to the toilet paper. 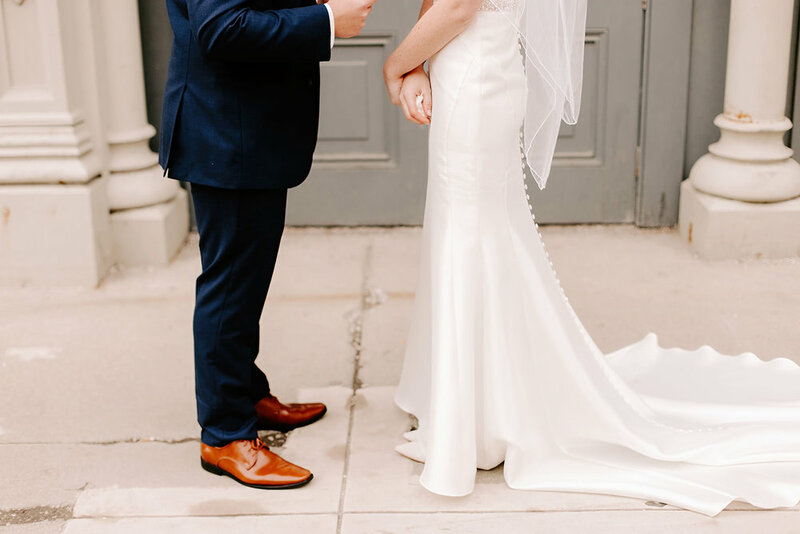 David Bell preformed the ceremony and (of course) did an amazing job showcasing their relationship. Davis' best man's speech was one of the very best I have heard in all the weddings I have shot. 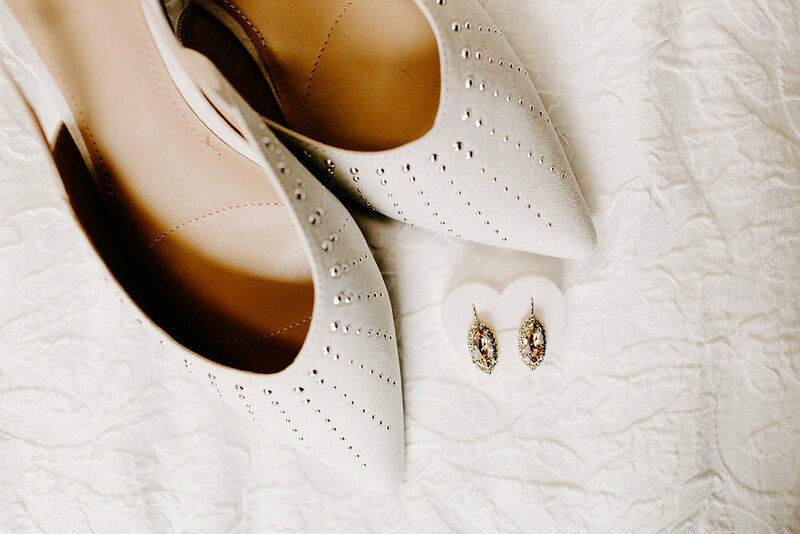 Thank you Emily and Davis for allowing me to photography your stunning wedding day. Love you guys!